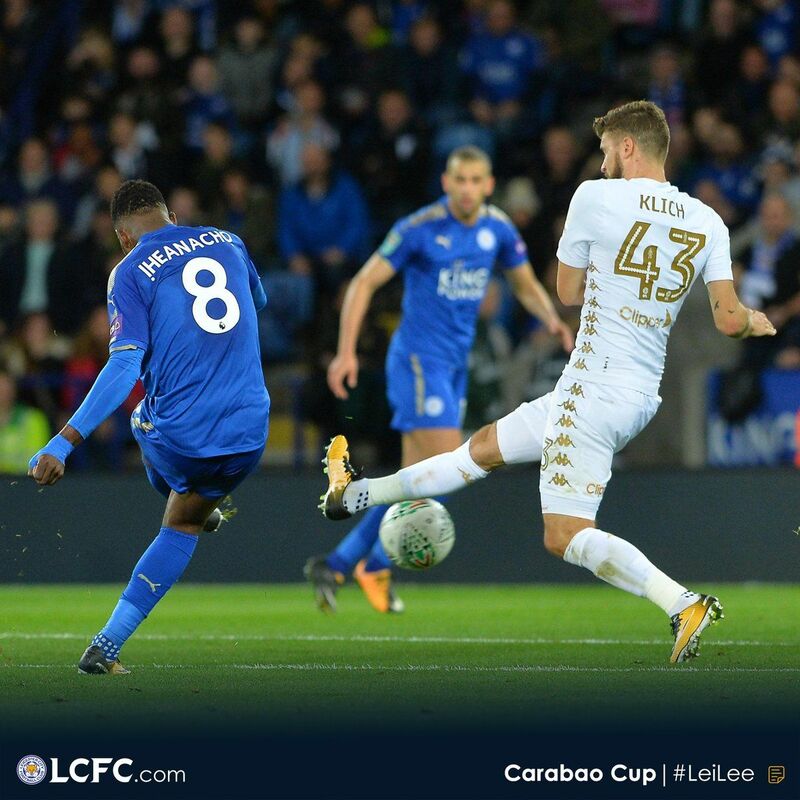 against Championship club, Leeds United FC in the Carabao Cup on Tuesday night. Thereby scoring a goal and provided an assist in the process. After the visitors went ahead through Pablo Hernandez’s fine effort, Iheanacho was on hand to equalize just four minutes later to net his maiden goal for the Club. It was a significant strike for the frontman and he believes it provided the lift the Foxes needed to go on and win the game. “I’m pleased to get on the score-sheet today,” Iheanacho reflected to LCFC TV. “It was a great game and I’m happy to play 80 minutes and we’re happy to win the game and go to the next round. Everyone can play and everyone can be used in the Premier League or the cup. In any competition, we are one and we play together in training and in games, so if you are called up to play for the team, you have to give 100 per cent in every game. “If you don’t get it right, then you have to be ready for the next game. Iheanacho’s goal was a well taken one. Initially, he looked as if he would shoot with his right foot, but shaped it onto his left before converting from the edge of the box. He continued: “I wanted to take it with my right foot but I wasn’t too sure, so I got it back onto my left foot and put it into the corner. The 21-year-old continued to threaten following the interval and after making a good run into the channel to latch onto Vicente Iborra’s pass, he squared for Islam Slimani to make it 2-1 to City. “It was a great run and a great finish from Slim (Islam Slimani),” added Iheanacho. “It was a great partnership between me and him. I’m not going to call it a competition because we are all one. We do well in training and we are together. He joined Leicester City from Premier League rival Manchester City FC on 3 August 2017 after signing a five-year contract for a reported £25m fee, He also made his debut for the club in a 4–3 defeat to Arsenal on 11 August 2017.